Even though NuLeaf Naturals “only” came onto the cannabis scene back in 2014, they’re actually regarded as one of the older, more well-established CBD oil brands. In fact, they actually got a head start on the whole CBD boom because the founders were in the plant and medical botany industries long before the cannabis craze struck full force here in the US. As such, making the transition to hemp cultivation and cannabinoid extraction came pretty easily for the Colorado-based brand, who are now making some of the highest quality tinctures on the market. Also, NuLeaf Naturals is one of the very few CBD oil companies that keeps an active log of all of their retail storefront locations, which is awesome because as a customer you can actually go in and shop around their various range of products, rather than taking a stab in the dark on an oil or an edible that you may not be happy with. 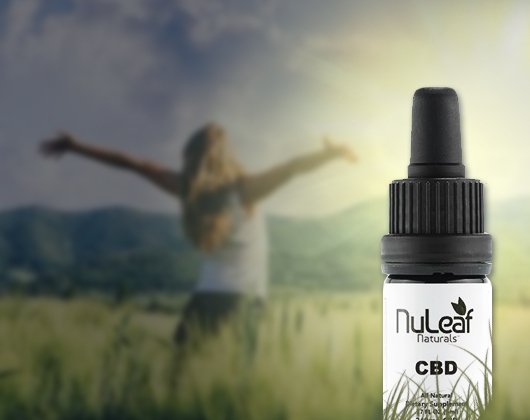 NuLeaf Naturals is one of a handful of Colorado-based CBD oil manufacturers, and with their main offices located in the “cannabis epicenter” of Denver, you can be sure that their finger is constantly on the pulse of modern hemp research, as well as up-to-date cannabis industry news. In fact, their entire operation – from the planting of the hemp seeds to its cultivation to the cannabinoid extraction and finally to the bottling and packaging of the CBD oil itself – takes place within the state lines of Colorado. They are a 100% USA-operating brand, which is in fact one of the reasons why we’ve come to like them so much (it’s getting harder and harder to find manufacturers who don’t source their raw material from Europe, or even worse, India or China). They source all of the raw hemp material from licensed organic hemp farms in Colorado, and can stake the claim that they are one of the only ones who harvests from an outdoor growing operation (the vast majority of CBD hemp farms take place indoors, with some people believing that indoor growing doesn’t produce as pure or “potent” of a plant). 100% USA owned and operated. We’re certainly aware that the quality of a CBD oil company shouldn’t be measured by where their operation takes place, but if a brand makes the investment to source and manufacture entirely within the US, you can bet that they’re only going to be using the highest-quality materials and most advanced extraction processes. Third party lab testing as soon as the CBD is extracted. Most CBD oil manufacturers claim to conduct third party lab testing on their oil tinctures, but attempting to get an actual report on them can be downright nightmarish. With NuLeaf Naturals, all of their extracts are sent to Steephill Labs in Berkeley, CA, immediately after the supercritical CO2 extraction process. You can call the company at 720-372-4842 to ask for a lab report on any product they sell. Contains phytocannabinoids and other key compounds. Another key thing that distinguishes NuLeaf Naturals from their competitors is the fact that they don’t process out any of the additional compounds that are in the raw hemp source. Their oil tinctures are premium whole-plant extract, which means that in addition to the CBD, they are chock full of other beneficial natural ingredients like terpenes, hemp proteins, vitamins, and other phytocannabinoids (such as CBC, CBG, CBDA, and CBDV). Super potent CBD content. 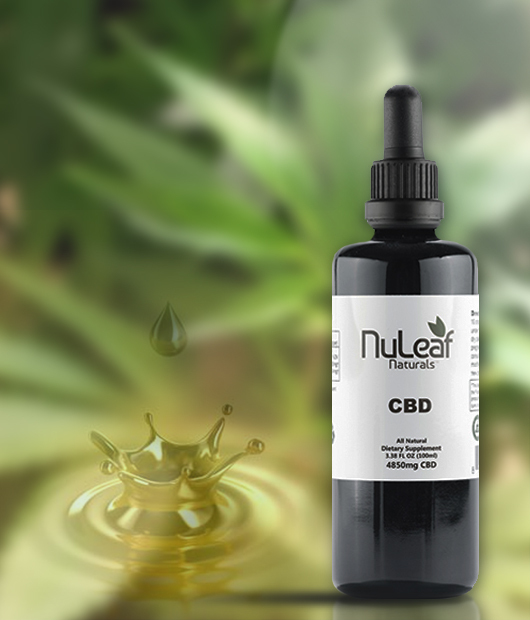 Probably our favorite thing about NuLeaf Naturals CBD oils is the fact that they offer some of the most potent legal tinctures on the market. In addition to the standard 240 mg bottles that offer 2.4 mg of CBD per drop, they also offer a monstrous 4,850 mg bottle that provides up to 2,000 drops of extract, which has worked to treat severe chronic pain, anxiety, insomnia, and even seizures. Retail storefronts all across the US. While most of the best CBD oils are available in some dispensaries and storefronts across the US, very few of them are in as many states as NuLeaf Naturals, and none of them (that we know of) have an online retail database that you can search to find a store location nearest you. Check out the website at NuLeafNaturals to find the retailer nearest you. 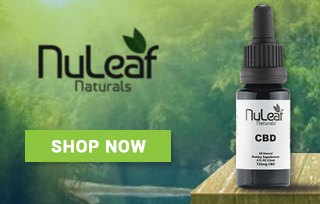 There aren’t many negative things that I have to say about NuLeaf Naturals, but if I had to pull something out of my hat and choose something, it would probably be that they aren’t the cheapest CBD oils on earth. Something like Pure CBD would be a little more cost efficient if you’re looking for a great bargain, but if you’re wanting to buy from a 100% USA operating brand, you really can’t go wrong with the NuLeaf value. Also, one other thing that’s relatively disappointing is the fact that they don’t offer a standard guarantee. They do accept returns and they do have a great customer service team that you can call if you’re unsatisfied with something, but unlike some of our other favorite brands they don’t have an actual company-wide guarantee. To be honest, my wife has actually used NuLeaf Naturals more than I have over the years. I’ve used the 725 mg tincture from time to time to treat my sporadic migraines, and I’ve got to say that it worked great. Helen, on the other hand, has been using NuLeaf nearly every day for going on two years, and she swears that it’s one of the most effective tinctures for her chronic lower back pain. The company only offers the sublingual (under the tongue) oil drops as of right now, but if they ever expand the brand and offer something like a topical pain cream or an edible, we’ll be one of the first ones to give it a go. In addition to the standard CBD oils, NuLeaf Naturals also offers a pet-specific formula, which is labeled as a “Full Spectrum Pet CBD Oil.” It works on either dogs or cats (and humans too, for that matter! ), and contains 50 mg of cannabinoids per 1 mL of oil. For dosage, it is recommended to administer 2-3 drops per 20 lbs (all dosing recommendations are listed on the bottle). NuLeaf Full Spectrum Pet CBD Oil has worked wonders on my dog's energy levels. I have already placed my order for the second bottle. I was surprised to see CBD for pets on the website – I reckon that will come in handy for days like the 4th of July when my dogs go wild. I like to buy from Nuleaf Naturals because all of their oils have been lab tested, and made without any additives at all. I tried various CBD brands but nothing worked for my migraines. Finally, after thinking it was going to be my last try, I bought CBD Oil from Nuleaf Naturals and to my utter surprise it worked beautifully. I’ve been on the hunt for a pure CBD oil and I haven’t been disappointed with this oil…class. Raelyn from Ashburn just bough! Griffin from Ashburn just bough! Isla from Ashburn just bough!